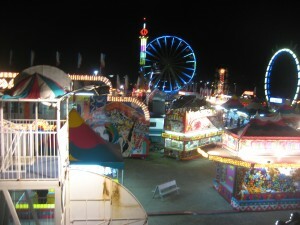 I’ll be posting about this subculture of carnies, big rigs and the dramas of the road life all year. 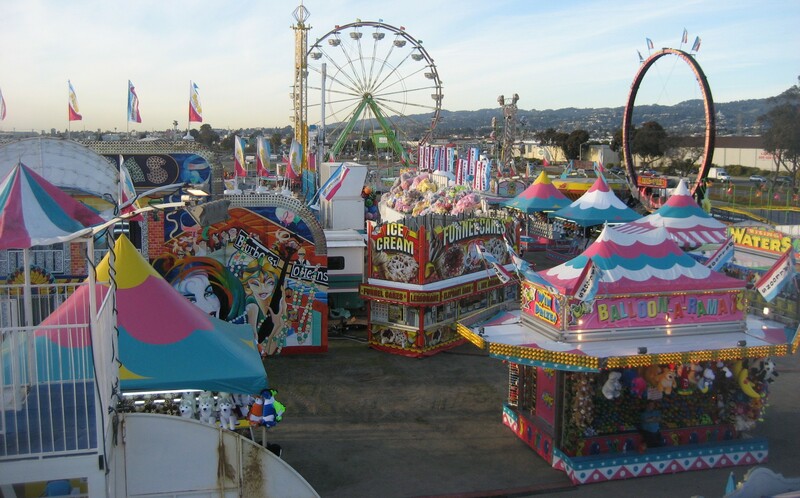 Living on carny wages, I’ll also be hitchhiking to some jumps and already have hitched from carnivals in San Francisco, to New Jersey/New York, to Chicago, to Anchorage. It will be immersion journalism but seeking the bigger themes running through Americana, dipping into history, academic studies and related subjects. I aim to include pictures and videos. This blog is preparation for the book but it will be a series of vignettes, what kind I am not sure either. But as Ray Bradbury might have said, something wickedly interesting this way comes. I know a bit about the road. I’ve hitchhiked much of The United States, Canada, Eastern/Western Europe, Middle East and North Africa. I lived or stayed nights in shelters, under bridges, jail cells, churches and in waste dumps while on these shoe-string travels. Among other jobs, I worked fields with migrant workers, farms, kitchens, cattle round-ups and truck loading docks. One Fourth of July week, I worked a ‘crooked dart game’ in carnival in Cody, Wy. The “Pub Dart Champion of Birmingham England” story is a favorite. My time in that carnival spurred my longtime fascination with these traveling, kinda-retro, shows and what the world must look like from this American-bred way of life. I’ve been to more than 90 countries. I swam the headwaters of the Nile, survived a hippo attack, studied Buddhism in the Himalayas and danced an Irish jig in the Amazon with an upraised jug of local White Lightning. Perhaps most importantly, I’m the former heavyweight champion of University College Cork, circa. 1980. I’ve attended The Poynter Institute, University of Maryland – College Park, Northwestern University’s Medill Graduate School of Journalism, Marquette University and University of College Cork, Ireland. Before that I had the great fortune of a Catholic education from the Jesuits, Viatorians, School Sisters of St. Francis, Bernadine Sisters of St. Francis and Mother Elizabeth Seton’s Sisters of Charity. I’ve worked with the Chicago Tribune, New York Daily News, Chicago Sun-Times, Daily Herald, Moscow Times, Budapest Sun, Budapest Business Journal, Elgin Courier-News, Naperville Star, Copley News Service and several Internet publications. I’m also a proud father of a happy, creative, grade school-aged daughter.